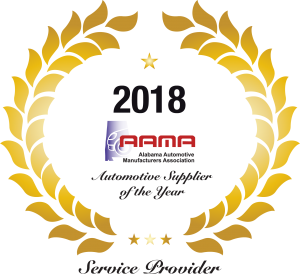 Ōnin Staffing was awarded the 2018 Supplier of the Year award by the Alabama Automotive Manufacturers Association (AAMA) on April 18th. The award recognized Ōnin for bringing excellence to Alabama manufacturing and exemplifying innovation with a commitment to excellence and dedication to investing in employees and communities. Ōnin Staffing is a temporary staffing firm that serves the light industrial and clerical industries. As an Alabama-based company with a $50 million annual economic impact on the state, Ōnin is the second largest owner-managed and privately held US staffing service. We’re also one of the 20 largest industrial staffing companies in the US. Serving as a Tier 2 supplier to the automotive industry for more than 15 years, we have experience placing Teammates in line production, parts inspection, QA, installation, plant maintenance, warehouse, kitting, order pulling and management positions in major OEM facilities and scores of tier supplier facilities across the southern United States. As a proud automotive and manufacturing innovator, Ōnin is committed to investing in our clients, Teammates, internal employees and communities. 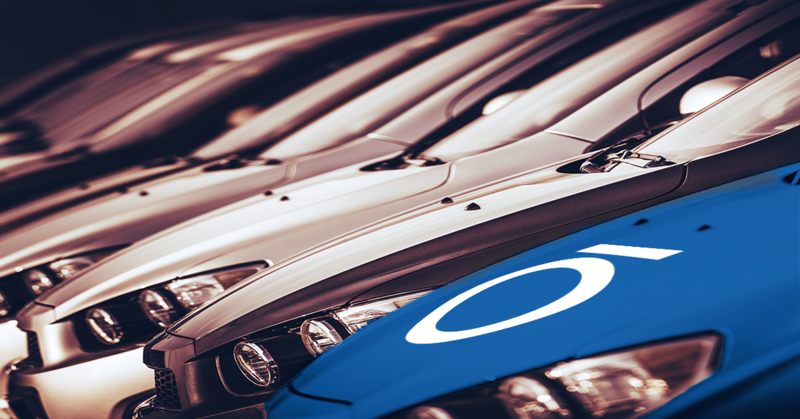 Although Ōnin has earned a reputation as a quality, high-volume staffing provider in the automotive industry, Ōnin has gained special recognition for our efforts to promote the automotive and manufacturing industries to millennials. With a low unemployment rate of 3.5% in Alabama, droves of baby boomers are leaving these industries, and few millennials are expressing interest in pursuing these careers. Meanwhile, high school students not bound for college are often unaware of the lucrative career opportunities the automotive and manufacturing sectors offer, and instead are relegated to low-paying jobs in the service industry. Responding to the talent crisis, Ōnin has played a key role in creating an infrastructure to provide the skill sets needed for millennials to pursue automotive and manufacturing jobs. Ōnin acts as a key partner in implementing the Ready to Work (RTW) program in high schools across Alabama. RTW is an employer-led initiative that creates a career pathway for high school seniors and builds a local talent pipeline for local industries. Ready to Work enrolls interested seniors in a semester-long course that combines AIDT career-readiness training with an employer-driven curriculum. In essence, the Ready to Work program helps the next generation find meaningful employment while meeting the real hiring needs of local automotive and manufacturing companies. After graduation, more than 88% of Ōnin’s high school participants were immediately hired by many of Alabama’s best employers. “I find that particularly gratifying because we can’t afford to have anyone on the sidelines during this fantastic economic expansion we are blessed with,” Thomas said. Ōnin takes pride in fostering positive workforce relationships with Teammates and potential applicants in our communities and our internal employees. As of 2018, Ōnin has been named a Staffing Industry Analyst (SIA) 2018 Best Place to Work for and a Birmingham Business Journal Best Place to Work company. Likewise, Ōnin takes pride in providing the industry’s most comprehensive benefits to our Teammates, including paid holidays, paid vacation, medical benefits, dental insurance, an Employee Assistance Program and continuing education opportunities through our Endeavor Scholarship. Ultimately, investing in our internal staff and our Teammates is just another way of investing in our clients and truly creating value for all the lives we touch.